HORTICULTURAL SOCIETY SPRING SHOW: on 24th March saw entries well down, on last year, particularly in the horticultural sections and this was thought to be due to the recent poor weather. Children’s entries were also down. However the general standard remained high especially in the flower arranging and a most enjoyable afternoon was had by all. The following Cups were awarded the Parsons Cup (horticultural) Peter Estcourt, Spring Cup (most outstanding exhibit flower classes) Hugh Thwaites, Bo-Peep Cup (handicrafts and cookery) Maureen Durrant, Society Cup (flower arranging) Christine Gibson and Rosemary Cup (children aged 8 to 11) Eddie Finch. 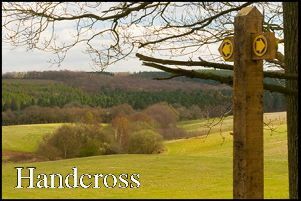 CHAILEY WI: meet on Tuesday, April 3, at the village hall, at 7.45pm when the speaker will be Miranda Tippey who will talk on ‘The People of Ashdown Forest’. She will recall some of the characters who lived on the Forest in years gone by. Prospective members and guests are most welcome to attend what promises to be a most interesting talk with lots of local interest, do just go along. There is a nominal charge of £3 which includes homemade refreshments. For more information call Margaret Smith on 01825 723519. Remove dead heads from daffodils and sprinkle a little fertiliser round the base to ensure good flowering next year. Allow the foliage to die down naturally.’ For more details contact Peter Estcourt on 07803179708 or pge44@waitrose.com.